Nowadays microfinance sector has been undergoing important changes. There is a challenge the micro finance providers shall have to face in the near future: ECONOMY OF SCALE. Those who are familiar with the field activities should be aware that the unit cost for many small size MFI could be unbearable; under the circumstances the business size can make it the difference. Talking to micro financiers they do think that outreach services either horizontal (new outlets) or vertical (new products) is the solution. In our direct experience we didn’t recommend the former way because before expanding they should put in order the house (balayer la maison, d’abord, je me souviens d’avoir dit dans une mission au Maroc), the latter is currently practiced via digitalisation of the services. In our perception of the market, the digitalisation has the same effect of the aspirin: it temporarily alleviates the illness but isn’t a therapy. Usually, the management problems can be sorted out by keeping low the in-house unit cost and there are many ways to do it, but this matter deserves an ad-hoc discussion, because it calls in cause the review and revision of the decision-making process and could be unpopular among Board Members (continue). (Continue). There is an ongoing trend started in 2010 when the Central banks made the first step on a supervisory and monitoring role of microfinance sector, after the release of the Basel III document on microfinance activities. The document inspired central banks in the emerging economies to make order in an uncontrolled market. Our followers may recall that we commented on above source and then published A. Graziosi – Suggestions for designing new credit models, Microfinance Gateway, 06/2011 – Rated among the first five most read documents in 2011). 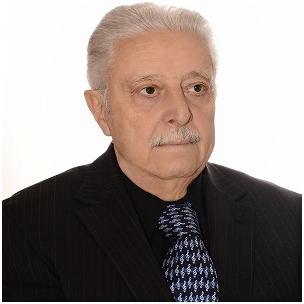 As a matter of fact in the past the micro finance market has been “no-man land”: http://www.emergingmarketsesg.net/esg/2016/08/26/five-questions-about-financial-inclusion-special-interview-with-dr-ascanio-graziosi-rome-italy-august-26-2016/ Some commentators argued that microfinance sector has nothing to do with Basel III Committee! A third step may be predicted in the near future and most likely shall be the restructuration of the sector: the time being function of the speed of the ongoing transformation of MFI into Micro Banks. At that time the central banks might release the guidelines on how to MFI should position in the market. Economy of scale is in an unpopular issue because will make unhappy people (not a few) sitting in the MFI board room. The good news is that the sector doesn’t need to invent anything because everything has already been experienced by the banking systems some decades ago. What did they? They invested in culture, innovation and outsourcing advisory services. MFI can to do it? How much is the MFI’s budget for advisory services? We know the answer. Whatsoever the case, there shall be a shrinking of the market on the ground that, as we have commented previously, some three out of four MFI aren’t performing.